As 2010 draws to a close I increasingly find myself wanting to share my gaming opinions with all and sundry. So here are my 2010 winners and losers across a range of categories, some more unusual than others, each accompanied by a short blurb. In the interest of full disclosure, but mostly just because I enjoy making lists, here are the games I played in 2010. God knows where I found the time! PLAYED THROUGH: Afterburner Climax, Alan Wake, Aliens Vs Predator, Assassin's Creed 2, Assassin's Creed Brotherhood, Bayonetta, Bioshock 2, Call of Duty Black Ops, Dante's Inferno, Dead Rising 2, DJ Hero, DJ Hero 2, Dragon Age Origins, Various Dreamcast Games, Enslaved, Final Fantasy Dissidia, Final Fantasy XIII, Final Fight (PSN), God of War 3, Heavy Rain, Joe Danger, Lost Planet 2, Mass Effect 2, Military Madness Nectaris, Nobby Nobby Boy, Pac Man Championship DX, Professor Layton and the Curious Village, Professor Layton and the Diabolical Box, Red Dead Redemption (& Undead Nightmare), Resident Evil Darkside Chronicles, Rez HD, Sonic & Sega All Star Racing, Sonic the Hedgehog 4, Zuma. Please do leave comments and agree/disagree with my choices. Enjoy your games and have a Happy New Year. 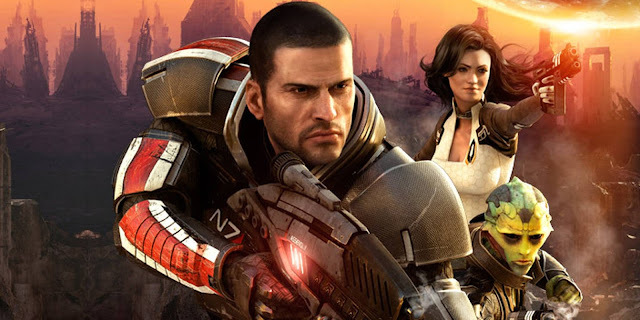 Mass Effect 2 is my choice for GOTY, beating Red Dead Redemption by the smallest of margins. At its best, RDR is arguably the better game, but there were moments when repetition set-in and interrupted an otherwise exemplar experience. Mass Effect 2 was more consistent in its brilliance, keeping me immersed throughout. An engrossing narrative, deep but not overwhelming combat and a malleable set of characters ensured that at no point did this intergalactic epic drag, and I was on the edge of my seat throughout, as I wrestled with my decisions and reveled in their outcome. This year’s selection of PSN titles was a major disappointment in comparison to 2009 when we were spoilt rotten by games such as Shatter, Battlefield 1943, Flower and Trash Panic. However, two titles were able to stand out from the otherwise slim pickings, with Pac Man being my preference over Joe Danger thanks to its addictively simple gameplay which swallowed far too much of my free time as I vainly tried to best my high scores. (I know it's the spiritual successor to Read Dead Revolver, but its different enough to be considered a new IP. Besides, I wrote the following paragraph before recalling the previous game and wanted to keep it!) 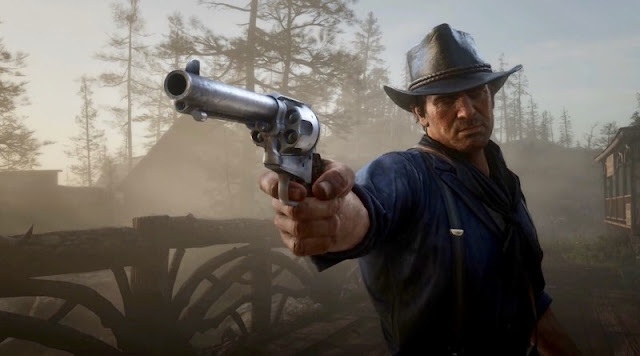 Games have repeatedly failed to do the Old West justice, but Red Dead Redemption broke the mould, riding into town on a mule-headed woman and shooting the place up. RDR kept me engaged long after it's Spring release thanks to impressive competitive and cooperative multiplayer and excellent DLC, including that staple of the Western genre; a zombie apocalypse. But more than anything, I couldn’t shake the simple joys of wandering its beautiful and vast landscapes long after taking my final meaningful journey with the Marstons. This isn’t one particular moment, but a collection of different ones culminating in any number of divergent outcomes. It wasn’t until I spoke with friends who had also completed Heavy Rain that I came to appreciate the weight of seemingly insignificant decisions, how they could lead to endings unrecognizable to my own and how each of our experiences had been unique. Although it didn’t get everything right – the “JASON!” mall scene was perhaps the single worst of 2010 – it was certainly memorable and got me talking more than any other title this year. Honourable mention: Mass Effect 2 - the final mission, Dead Rising 2 – taking the wheelchair-assault rifle combo for a spin, Enslaved - the final scene. No surprises here. See Retail GOTY for an explanation. I enjoyed the original Bioshock though I wasn’t as enamored with it as others were, but I could appreciate why it was held in such high esteem, thanks to its twisted story, cast and brilliant atmosphere. Unfortunately, it turned out that Rapture was a place best visited just the once as the sequel did little to innovate, aside from a muted multiplayer, and failed to build upon the strengths of the original. (Small Spoiler ahead) Having already experienced the head-scratching finales for Assassin’s Creed 1+2, I wasn’t expecting anything close to full closure from ACB. Even still, it’s a tragedy that my final memories of ACB consist of a new, cheap and entirely unsatisfying combat mechanic which replaced the techniques I had spent the last 20+ hours mastering, followed by an unexplained setting and final battle with a character who should have been elsewhere. Then to close, a final 20 minutes spent exclusively with perhaps the least interesting character of the series, Desmond, culminating in a final act that was more dull than dramatic. That ACB is my third favourite game of 2010, despite the atrocious final 30 minutes, is testament to how good the other 95% was. I consider DAO and the two runner-ups below to be better than all but two or three titles released in 2010. Taken from my DAO review - "Every once in a while, a game comes along that reminds you of why you loved that particular genre in the first place. For me, Dragon Age Origins is that game......It is an exemplar Western RPG and a hugely enjoyable romp through a universe that comes across as very familiar, yet occupies a place entirely of its own. Highly recommended." Its not quite Burnout Paradise, but it hits many of the same notes. The frequent loading screens prevent it from being as immersive as BP, but it is great fun in single or multiplayer, boasts an excellent tool to keep you competing with your friends (Autolog) and the police or racers divide looks to offer a long shelf life. 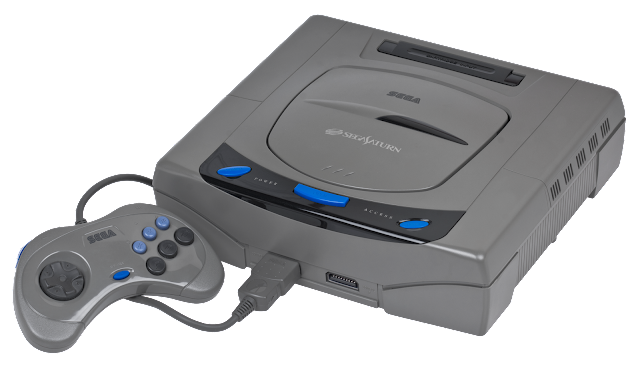 I do have a soft spot for all things SEGA, dating back to my childhood of Master System/Mega Drive/Saturn, but I’m not so delusional that I’m blind to Sonic's ghastly track record of the last decade. So I went into this Mario Kart-alike with a fair amount of trepidation but was ecstatic to find a robust and rewarding racer that kept me motoring far longer than I dared imagine. God of War III marked another quality installment in an excellent series, but it attempted almost nothing that its predecessors hadn’t already nailed in the previous generation. GOW3 excels at what it does, yet seemed perversely reluctant to innovate. I feel that I will lose interest entirely if future installments continue to ape the existing formula so unashamedly. 2010 saw me finally platinumize (v.) Burnout Paradise, as I coerced 7 other racers to come meet me in the Wildcats Stadium. Despite being a year and a half in the making, it was trumped by my exhaustive adventures in Grand Pulse. I still have no idea what possessed me to return to FFXIII three months after the disappointment of finishing the main game, but return I did and I tracked down every last monster, acquired every piece of armour and maxed out my team. I almost soiled myself when that final trophy pinged. 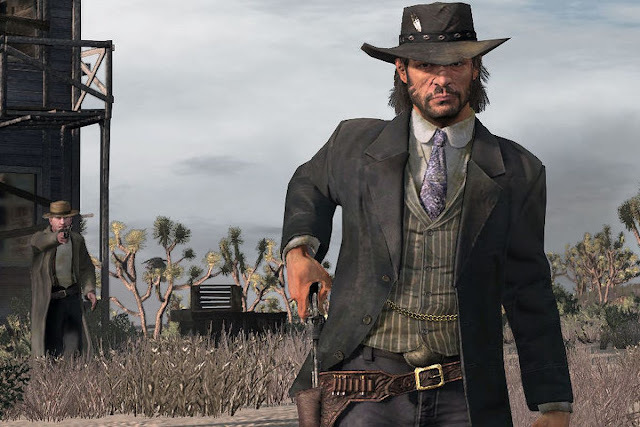 I was thoroughly invested in John Marston’s story, charmed by his short attention span and simple approach to life. He did have a tendency to bend to the will of others a little too easily, and he wasn’t the greatest judge of character, constantly helping crooks who had no intention of returning the favour, but his deadly aim and good intentions more than made up for his shortcomings. Much like Niko Bellic and Nathan Drake in 2008 and 2009, John Marston has become synonymous with my gaming in 2010. The so-so competitive modes aside, RDR boasted a deep multiplayer experience headed by an impressive open world hub, replete with hideouts, challenges and excellent co-op (free) dlc. The zombie survival mode (Undead Nightmare) added another enjoyable, yet limited, element to an outstanding package. You couldn’t escape the undead in 2010 as they popped up everywhere from Nazi Germany to the Wild West. But Dead Rising 2 did the most with its slathering corpses, building an excellent game around the simple premise of butchering them in increasingly inventive ways (chainsaw paddle, assault rifle wheelchair, a silly hat etc). DR2’s zombies were there for your entertainment and they made for one of the best games of 2010. 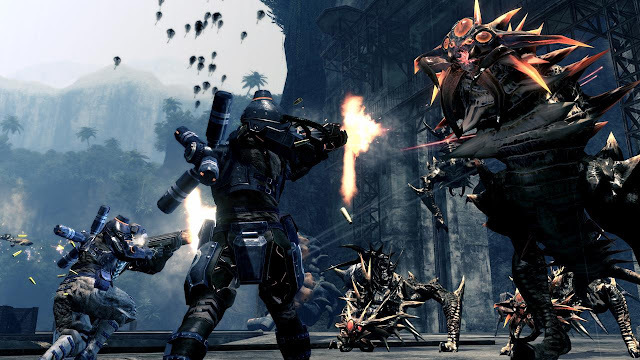 Thanks to two wildly enjoyable multiplayer demos at Tokyo Game Show 2009, Lost Planet 2 shot to the top of my most wanted list for 2010. However, my expectations were quickly dashed as the average review scores started to come in and my intended co-op buddies declined to buy it. I initially dwelled on the flaws of the single player campaign and suffered through a handful of multiplayer competitive matches. However, as I embarked on my second run-through and started to experience more of the co-op, I came to appreciate LP2 more and more. While it may have fallen short of expectations, LP2 is a huge and rewarding game that improves the longer you stick with it. Enslaved is a perfect example of how to do video game narrative and character interaction. This shone through and allowed it to establish a niche in a crowded market, but the imprecise, simplistic combat and platforming were the fly in the ointment, dulling my first impressions and dooming a second playthrough entirely. I’m not sure if things have gotten easier since the grenade spamming days of World at War, but I was able to whiz through the Black Ops single player campaign on Veteran difficulty. The might of the Communist forces couldn’t stop me from brutalizing my way through the Cold War, though that bloody hill in Vietnam came close to causing a bout of controller tossing. For all its faults, the COD series never fails to make you feel like a badass mother fucker. I struggled through the majority of Bayonetta on medium setting, and would have finished it if not for a difficulty spike right near the end that caused me to give-in. I reluctantly returned a couple of weeks later and finished it on easy. Not my proudest moment. One hundred and ten hours to be exact. I don’t think I was even looking at the screen for about ten of those, as I perfected a Zen technique of leveling which required only an occasional glance at the TV. Platinumize is a fantastic verb... haha. I'll add that to my vocabulary with Trophying. 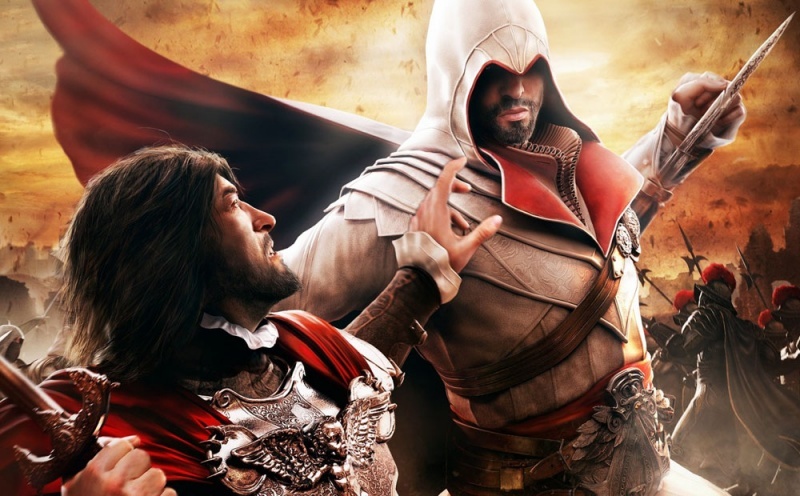 I thought the gameplay finish with Desmond in ACB was much better than the finish with Ezio (in either AC2 or ACB) or Altair in AC1. I didn't like the very end though story wise. I agree about Enslaved. On the second playthrough the gameplay issues really started to drive me crazy. Very cool story and characters though. Well good blog. I still need to get to a bunch of these games. I like the non-tradtional awards. I have not played either of your PSN game picks, but Lara Croft and the Guardian of Light is great. Give the demo a try at least if you haven't. Enslaved was a game that i really wanted to like (great collection of talent, appealing visual style)but the shoddy gameplay really let it down. I did try the Guardian of Light demo. It seemed pretty good, but wasnt sure if it was worth the full purchase. Will give it another look. Cheers for the comment and enjoy the New Year hols.